With the busy holidays fast approaching. 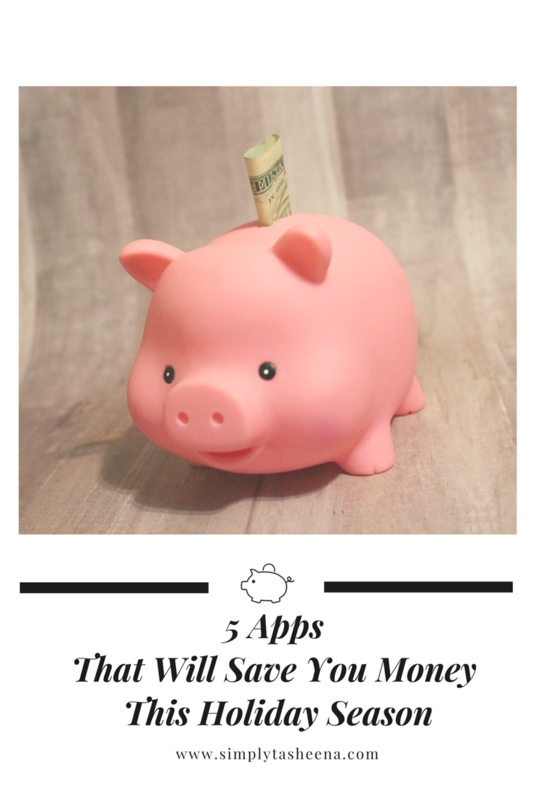 I love sharing tips with my readers with apps that I’m using on a daily basis to save money. I know there are a ton of apps out there. However, I only share the apps that I know, love and use on a daily basis. I’ve saved so much money using these apps, and they’re super easy to use. I use Ebates anytime when I shop online. I just received my latest check in the mail the other and it was a great reminder of why I love using this app. I also love this app that if you’re shopping and have your cart filled and remember mid-shopping that you forgot to use the app. You can still click on the app and your items will still be in the shopping cart. This happens to me all the time. Ebates sends checks quarterly or you can opt to receive a gift card from your favorite store. I love using Groupon. It’s perfect for option especially last minute for those picky shoppers. I also love it because if you forget to purchase something for someone on your list. You can easily purchase an item or a restaurant voucher. I always try to give people the gifts that I want and I love using Groupon. It’s the perfect way to learn about new restaurants as well. I’ve found some of my favorite Sushi restaurants that I use without a Groupon on Groupon. As many of you know that I’m a Target addict. I love Target and I was super excited about the Cartwheel app when it was first launched. I remember going to the store and some of the cashiers didn’t even know about the app. Yes, I’ve been using this app for years. I love that I can walk into the store and scan an item or search for an item using keywords to see if the item is on sale. What I love about this app is that it tells you the dates until the offer expires. You can also plan your trip prior to going to the store which I love in case you want to plan ahead. I love the Ibotta app. They have so many stores in this app. I love that you can connect your loyalty card and you can also use it for mobile purchases. How cool is that? I use this app throughout the year, especially during the holidays. You can even use it for your mobile purchases with Groupon. I love checking to see what are the latest offers prior to shopping online or going to the store. You can really save a ton with the Ibotta app. Receipt Pal is one of my favorite apps to use. You receive cash or gift cards for submitting your receipts. With all that online and in-store shopping that you’re going to have. Why not get money for submitting your receipts? When I’m doing shopping one of the first things that I do is scan my receipts to Receipt Pal. I love that your given a certain amount of slots a week to submit your receipts and you can also submit receipts for online purchases. What I also love about this recipe is that you have the entire month to submit your receipt. Which is perfect in the event that you immediately don’t submit it. What is your favorite money saving apps? Great post I just got a check from ebates today!! I also use groupon as well went on some great vacations and mini weekends using that app. Will have to look in Receipt Pal! I love using snap and save. When I go shopping.We don't have Groupon in South Africa closed down last year. I have bought lots of stuff from Groupon and have got some fantastic deals. It's a great site. So far I am seeing a lot of really good deals on Groupon. I just recently redownloaded the app and I have been checking it every day this past week. OMG this is so needed! Especially with the new year coming up, time to get into a better financial situation!